Now that you’ve learned the 4 secrets to preparing a great employee review, we’re going to provide you a number of sample performance review phrases you can use on your annual evaluations. We’ve filtered the performance review phrases into positive and negative, by subject area. 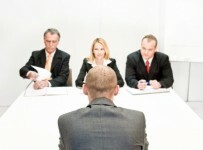 This allows you to write for both the strengths and weaknesses of individual employees. 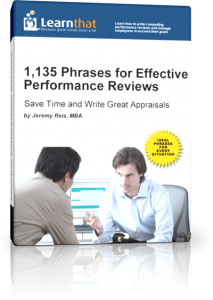 You will receive hundreds of sample performance evaluation phrases you can use to speed up the evaluation process. These example performance evaluation phrases are intended to inspire you to write the performance review for your employees. They do not constitute the entire message you will want to communicate, but stringing several together could. If you’re struggling for the right words to use, let us help you!